Born to blue-collar parents just before THE War. Forced retirement to Hot Springs Village, Arkansas in 2004, but it was worth it! Sing, write, coach, direct, sew, knit and volunteer in my spare time ... and watch the 'critters' parade past our bay window. HAVE TO write! Retirement and a desire for a warmer climate, and the opportunity to live closer to one of my daughters, prompted me to move to the Village in October 2010 from the Madison, Wisconsin area. Before living in Madison, I lived in Chicago and surrounding suburbs, with a couple of years spent in Ozark County, Missouri. My writing has been mostly non-fiction material such as articles for genealogy newsletters, a women’s labor history newsletter, and memories of my past life. In the interest of broadening my horizons I’ve also taken courses in creative fiction writing and have attended writing seminars and workshops in Illinois, Wisconsin, and Arkansas. In 2012 my story “The Cherry Tree” was one of those selected in the Short Story Competition sponsored by the Hot Springs Fine Arts Center. Recently I was honored to have a family history article published in the New York Genealogical and Biographical Record (Volume 144, Number 3, July 2013). The article puts to rest the earlier date of death incorrectly connected to my Dutch ancestor, Adam Hendrickse Vrooman, and explores the most likely burial site of Adam and his wife, Anna Mebie Vrooman. [These are my 5thgreat-grandparents on Dad’s side of the family]. Information in the article provides source data for other descendants of this couple wishing to prove their lineage. I'm involved in the Village Camera Club, enjoy art museums, classical, jazz, and blues music, and traveling in the states and abroad. A guy who's always enjoyed folk music quite alot, but who's been enjoying more and more as I get older. 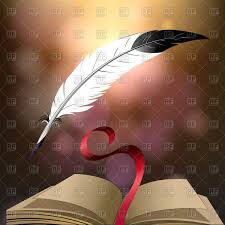 I'm a writer, but not one who considers himself a pro; only a willing learner. I write poetry, short fiction, and longer fiction (in progress). My politics don't necessarily fit in well with the Village, but I'm of the mind that people can be friends regardless of their political, religious, or social viewpoints, provided they are not practicing bigots. Professional writer. Creator of the Casey Fremont mystery series. I am not sure what you want to know. I am 70 years old. I am an Arkie and have lived in the Village almost 14 years. I taught English and history for 25 years. My favorite song is "Bridge Over Troubled Water" and I love to go hot air ballooning. I’m a retired elementary teacher and school administrator, but I've always enjoyed writing stories. After moving to the Village in 2003, I became an active member of Village Writers’ Club. I owe much of what I’ve learned about the craft of writing to the helpful feedback I've received from my colleagues in our club’s critique groups. My work has appeared in the on-line magazine Persimmon Tree, the print publication Storyteller, and I presented one of my memoir stories on the internationally syndicated public radio show Tales from the South. My 2012 collection, Views from an Empty Nest: Award-Winning Tales Written after Fifty, includes twenty fiction short stories and eleven nonfiction memoirs. A retired university professor (Northern Arizona University in Flagstaff), Suzanne Bratcher, PhD has published numerous professional articles and two textbooks about teaching writing. She has also published short stories and poetry in a variety of journals and online magazines. Since leaving teaching, Suzanne has been writing romantic suspense for the Christian market. Her agent, Jim Hart, is pursuing publication for her three completed novels: The Copper Box, Kokopelli’s Song, and Guardians of the Canyon. On her blog, TwitterBible, she and guest writers reflect on one scripture verse each week. To learn more about Suzanne and her writing, visit her webpage at www.suzannebratcher.com. You can find her on Facebook at authorsuzannebratcher. Follow her on Twitter @AuthorBratcher. Retired after 40 years of teaching. Reading Specialist, and Education Specialist but taught whatever was assigned including government, economics, and English. I was an adjunct professor at Huston Community College for 10 years. I have not published, but like to enter contests and have won several. I'm a retired elementary teacher from Brookfield, WI, where I taught for 35 wonderful years. My husband and I bought our lot in the Village in 1988 with the intention of moving here once we retired. In August 2005 we moved here and enjoyed it from Day One. Though I’m not a published writer, I enjoy writing my memoirs and travel logs of our fascinating trips in a myriad of countries. Traveling surely broadens one’s horizons! I feel honored and inspired to be a part of this club with its friendly, multi-talented people. Mickey Jordan is a graduate of the University of Tennessee – Knoxville. He had a very successful business career culminating in owning and operating his own financial firm. During his business life he authored numerous articles that were published in local, state, and national journals. Upon retirement he turned his efforts to writing short stories. Many of his stories, including some in Kaleidoscope of Tales, have won awards in literary competitions. Mickey resides in Hot Springs Village, Arkansas, with his wife, Becky. They have six children and twelve grandchildren. He is a member of the Hot Springs Village Writers' Club. He also is an active participant of the Village Writers' Critique Group. On the last day of his internship whereby Dr. Lawrence Enders received his license to practice medicine and surgery, he was drafted into the U.S. Air Force. His book Surviving Serendipity documents a 23 year career with the Air Force,including a tour in Southeast Asia where he completed 75 combat missions,receiving 2 Air Medals, and working with NASA for 4 years as one of the Aerospace Medical Specialists working with the astronauts. Later in his career he became involved with a Russian KGB agent with whom he corresponded for many years After numerous other incidences and acquaintances, many almost unbelievable, he became the Commander of the A.F. School of Aerospace Medicine, where he later discovered his Chief Scientist, a civilian, was wanted by the Nuremberg War Crimes Tribunal for WWII war crimes in Germany. Retiring from the Air Force, Dr. Enders became the first Medical Director of Celanese Chemical Co. overseeing the medical functions of their plant in the U.S., Canada, Mexico, Saudi Arabia, and Singapore. After 17 years in that position, he retired (again), and he and his wife,Janet, moved to Jacksonville, Fl. where he and Janet traveled to 35 different countries in 15 years. In between travels, he taught the advanced course of Anatomy and Physiology at Jacksonville College. Larry and Janet moved to the Village in 2008 where Larry wrote his book. They continue to travel, Janet sometime painting her version of some of the photos Larry takes.